Capt. Kristi Machado, 56th Force Support Squadron sustainment services flight commander, poses in front of memorabilia from her career June 29, 2018, at Luke Air Force Base, Ariz. Machado, a Florida native, first enlisted as a photographer in 2001. To become an officer in the U.S. Air Force, an individual must display strong moral character, high academic strength, and be devoted to an honorable conduct with a persistent exemplification of integrity, service, and excellence in all that they do. 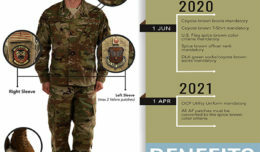 Individuals who seek to transition into this increased responsibility from enlisted service face the additional challenge of maintaining an outstanding career with which to compete against the large pool of applicants. To be selected and successfully become an officer is not only an honor, it is a reflection of one’s accomplishments and leadership potential. For Capt. Kristi Machado, 56th Force Support Squadron sustainment services flight commander at Luke Air Force Base, Ariz., selection came naturally. At first glance, Machado’s stature is unassuming. She is petite, and though for her wise and confident gaze through wide hazel eyes, she looks young. Any idea of youthful naiveté is quickly dispelled when she speaks, however. Her words seize attention with a knowledgeable and authoritative tone backed by decades of experience. Capt. 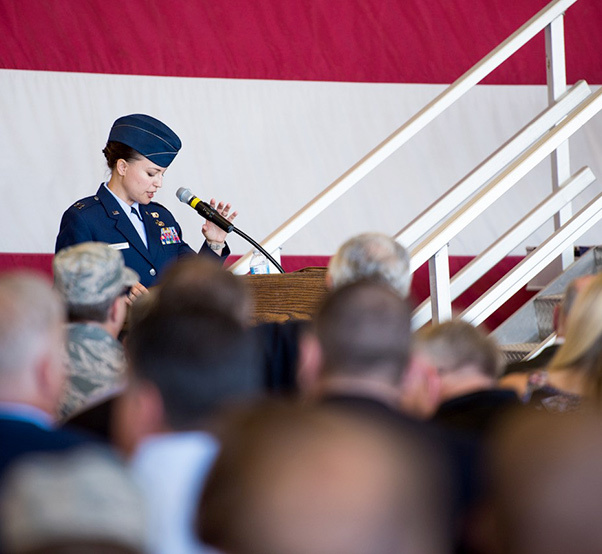 Kristi Machado, 56th Force Support Squadron sustainment services flight commander, narrates the 56th Fighter Wing change of command ceremony June 20, 2018, at Luke Air Force Base, Ariz. Machado spent the first decade of her career as an enlisted Airman in assignments with units like the U.S. Air Force Thunderbirds. A DeLand, Fla., native, Machado’s aspirations for the Air Force were originally born both out of a career pragmatism and family heritage. Those plans aligned with sudden events in September, 2001 and Machado’s motivations grew into a sense of duty. She first stepped into a recruiter’s office in October. 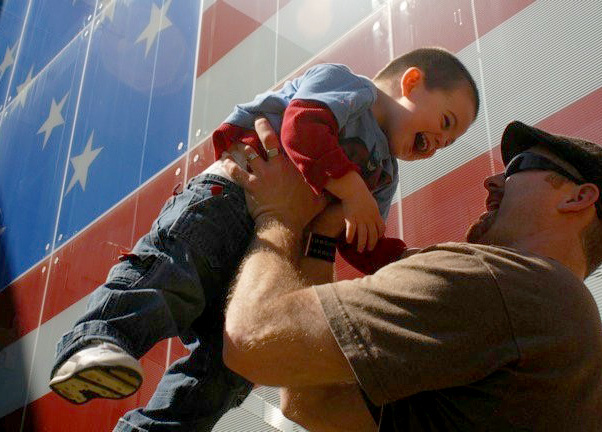 Jack, and his son Jadon, enjoy the day at Baltimore’s Star-Spangled Banner Flag House, 18 March 2010. Formerly known as the Flag House and Star-Spangled Banner Museum, the facility allows visitors to step into living history and immerse in the story of the creation of the American flag. Machado’s family, friends, and military acquaintances, even from other branches, had all recommended the Air Force to her for its depth of opportunities. Originally interested in a commission, officer positions in the Air Force faced a tremendous surplus of applicants in the wake of the start of the War on Terror. Machado’s recruiter suggested an alternative path to a commission by enlisting first. On December 7, 2001, Machado swore her oath of enlistment. Her first assignment was to Altus Air Force Base, Okla., as a still photographer. Machado’s duties included news photography, historical documentation, and emergency response photography. 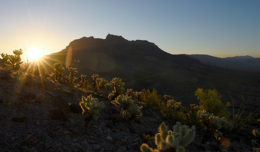 Over three years she amassed a wealth of high-quality imagery and distinguished herself as an excellent photographer. 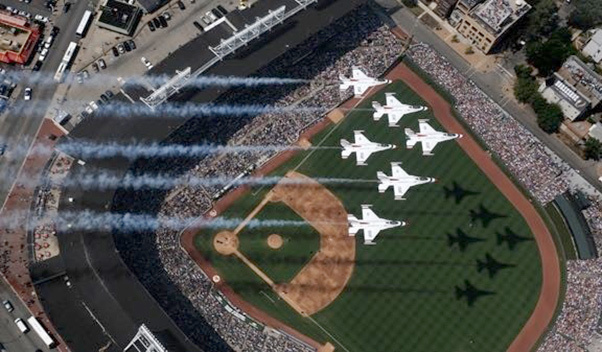 The U.S. Air Force Thunderbirds fly over Wrigley Field, prior to the start of their Friday practice for the Chicago Air and Water Show, Aug. 14, 2009. The Thunderbirds represent the nearly 700,000 active duty, Air National Guard, Air Force Reserve and civilian Airmen serving in the United States and overseas. The Thunderbirds are the U.S. Air Force’s premiere aerial demonstration team, composed of highly trained fighter pilots flying F-16 Fighting Falcons and professionals from 27 career fields across the Air Force. Undergoing rigorous flight training in order to qualify for the flying position, Machado produced imagery displaying the team’s inner workings, historical record, and technical prowess from the air. The wide breadth of photographic experience offered to her by the Thunderbirds, working in immersive environments with a variety of different career fields, gave Machado a unique springboard to expand her career. Machado, who cherishes her time with the Thunderbirds as some of the best years of her career, was able to take this experience and share it in her next assignment as an instructor at the Defense Information School at Fort Meade, Md., where military photojournalists and broadcasters learn their trade. Over the course of three years, Machado taught photography in the Basic Mass Communications Specialist Course for Navy students, and graphic design in the Digital Multimedia Course for intermediate prior-service students. Meanwhile, Machado reentered school, attending online classes from Savannah College of Art and Design. As a technical sergeant, in the midst of a full-time workload leading and instructing students of all skill-levels, Machado earned a Master’s degree in photography. Altogether, her education, her expansive range of knowledge and experience, and her shining willpower and motivation made her application for selection to Officer Training School an easy package to build. What was not as easy, however, was saying goodbye to her life as a photographer. 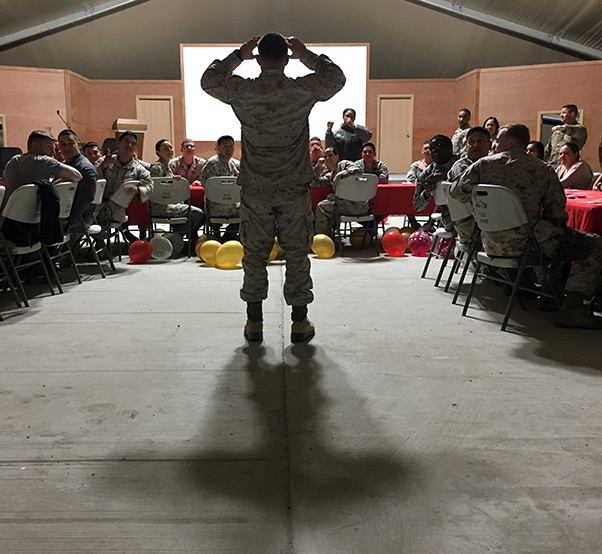 A U.S. Marine attempts to guess a mystery word, through clues given by his brothers and sisters-in-arms, during a monthly birthday celebration, 18 February 2017. Dinners such as these are often part of morale boosting events, while members serve in overseas locations. Today, Machado is finishing her tenure as a services flight commander and will soon receive a new command assignment, potentially over a different set of career fields. 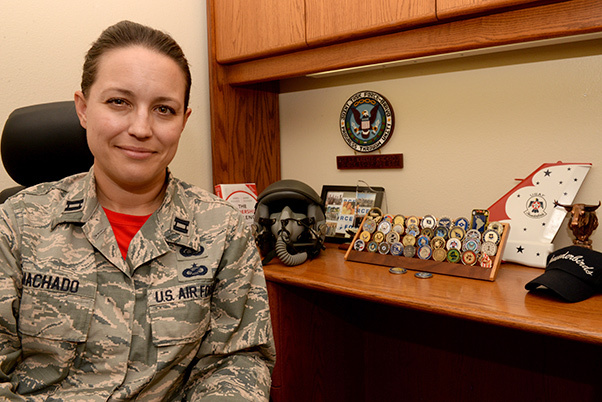 Her time working with Thunderbird Airmen in numerous different jobs has given her ample exposure to the general range of possibilities. As Machado advances forward in her Air Force career, she can’t help but ponder the paths of those she’s had the chance to influence herself, both as a leader and a wingman.